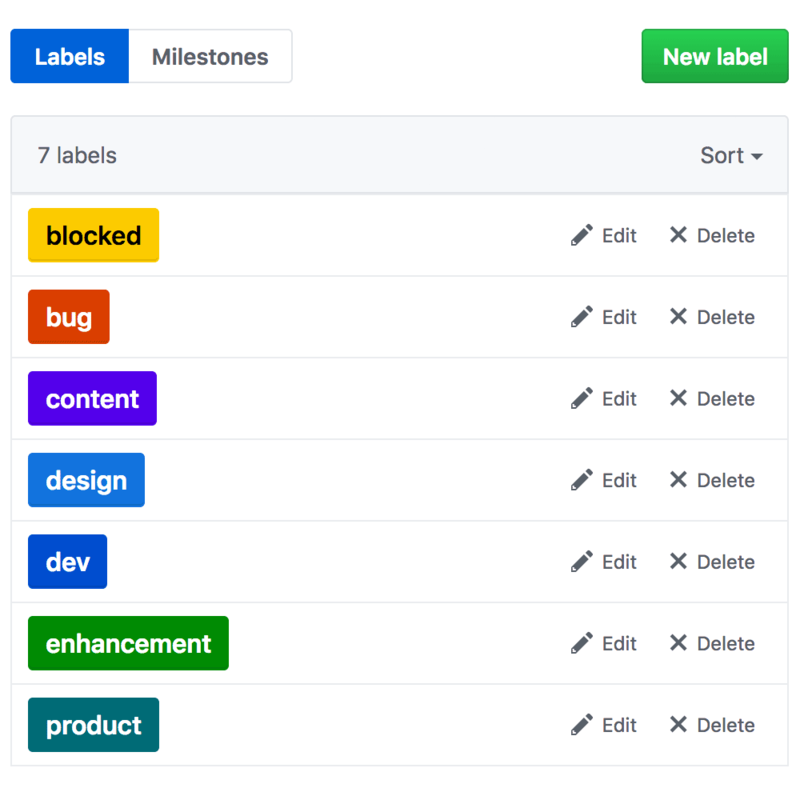 An overview of the Agile development process, parts we’re going to use, and how we’ll use GitHub as project management software. We can do all this within GitHub’s tools! And store our code in the same place! Every sprint (week) create a milestone with a deadline to group all the sprint’s tasks. Slack is ephemeral—if there isn’t an Issue on GitHub, the task doesn’t exist.